What is Christmas without rounding up your friends or family and snapping some festive holiday photos? 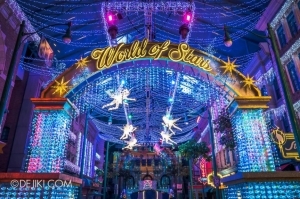 Take full advantage of the sparkly lights, twinkly reindeers and dazzling Christmas trees that are bound to make an awesome backdrop. 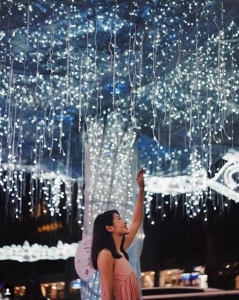 Whether you’re doing it for ‘the gram’ or simply capturing moments to remember, here is a list of places around Singapore’s iconic locations that you should check out! *P/S: If you’re a photographer constantly searching for great locations that will produce great bokehs in shots, you don’t want to miss this great chance as the photo opportunities are endless! 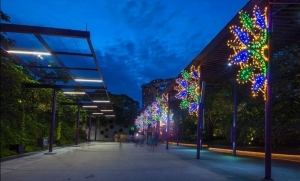 Spanning 2.88km from Tanglin Mall to Plaza Singapura this year, Orchard Road’s yearly light decorations remain one of the main attractions to visit during the Christmas season for Singaporeans and tourists alike. 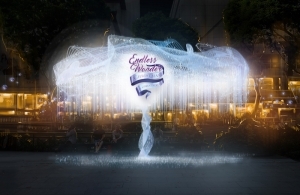 The theme for the year, “Endless Wonder”, features hues of purple, silver and blue with street-side installations and a 12m main arch, the tallest to be on display for Christmas in Singapore’s history so far! 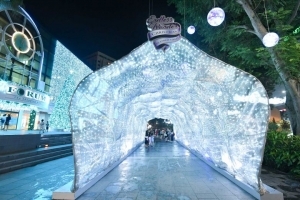 Another worthy mention – The 20m ‘Walk of Wonder’ passageway made out of reflective fabric and fairy lights that is located outside Forum The Shopping Mall – will be the best backdrop lighting you could ever ask for. 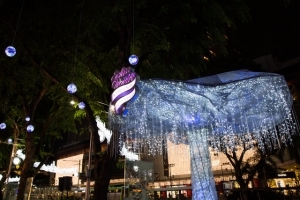 Part of the extravagant set up is also a 5m tall Enchanted Tree with illuminated canopy outside Wisma Atria. We reckon this is the closest you’ll get if you’re looking for “snow” covered white trees! 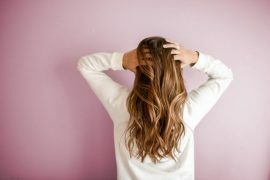 This is something you should visit (no matter what!) 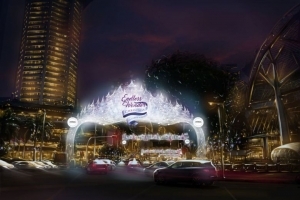 This year, Ngee Ann City is playing their game right by installing a two-storey carousel! 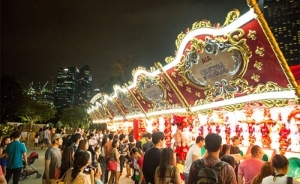 It is located at the first-ever European Christmas Village that is right outside Ngee Ann City. The Carousel is $5 per ride. 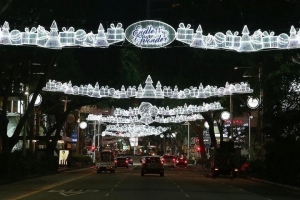 Those planning to catch the lights after sunset, do note that the lights will remain on until 2am on Fridays and Saturdays, and until midnight on all other days except Christmas Eve and New Year’s Eve, which they will stay on until 6am the following morning! Start marking your calendars and making plans! 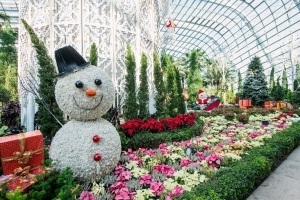 Back with its fourth edition this year, Christmas Wonderland at Gardens By The Bay is Singapore’s biggest yuletide fair, comprising a fairground, food fair, acrobatic performances and light decorations of different multitudes. 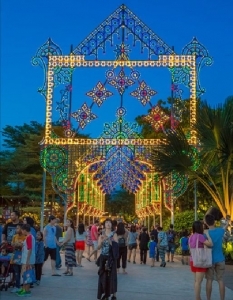 Iconic to Christmas Wonderland every year, the Luminarie Light Sculpture is one magnificent art piece not to be missed. It will feature an all-new architectural design reminiscent of the medieval period handmade by Italian skilled craftsmen using white wood from the south of Italy. 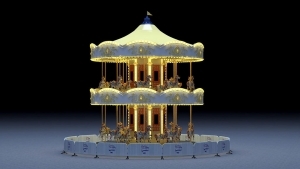 Snap a picture with any of the 80 picturesque light sculptures scattered across the fairground! 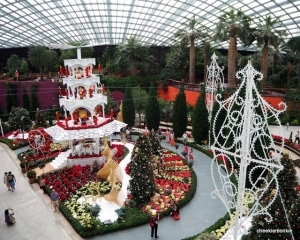 Located inside the Flower Dome, the Christmas Toyland Floral Display has over 40 varieties of yuletide floral favourites. 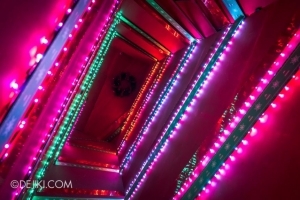 The centrepiece of the display is a 11m tall Christmas Pyramid furnished with toys that turns into a live stage during the evening. 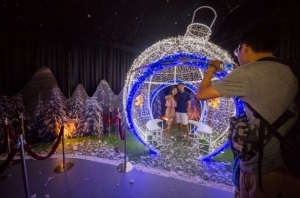 Another great place to take your photos is at the 300 sqm Arctic themed Santa’s Grotto where you get to meet and have a memorable photo-taking session with Santa Claus himself! 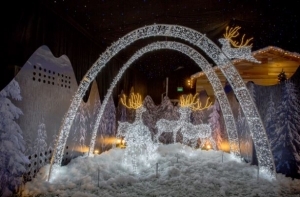 The installation features life-sized 2.4m reindeers with a sled and bauble ornaments that you can take photos with. 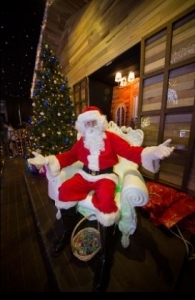 The Santa’s Grotto is free to enter with Christmas Wonderland admission ticket. 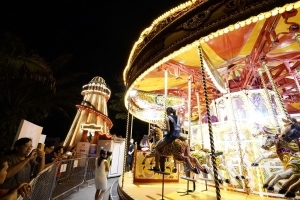 Complete your Christmas Wonderland experience by participating in their carnival games and rides! Some rides to expect are Bumper Cars, Chair O Plane and Bumper Boats. 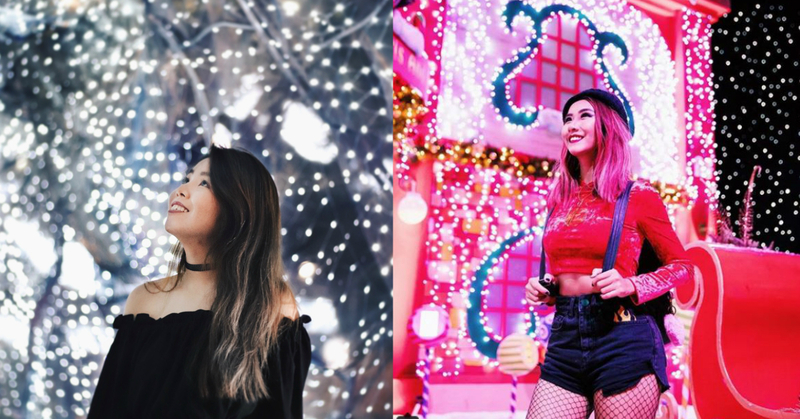 If you’d like a change of background from the usual Christmas decorations and lightings, try snapping some photos with the carnival lights for a change! 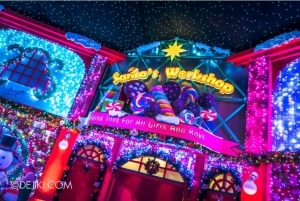 Universal Studios Singapore (USS) is bringing in an all-new interactive experience this year with Santa’s Workshop. 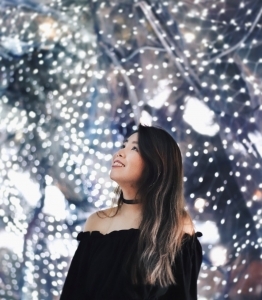 Besides getting yourself certified as an elf from completing tasks and attending the workshops (with real elfs of course, duh), there are sparkly ribbon-laden rooms that you can take portraits in! 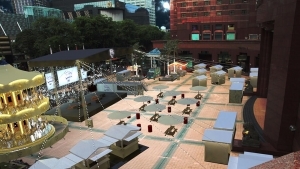 Watch the New York Zone transform into the World of Stars during the evening as the enchanting night lights come on. The new dance and sing performance features aerial acrobats, snowfall, special effects and state-of-the-art projection mapping at the New York Public Library for a magnificent night-time spectacle. 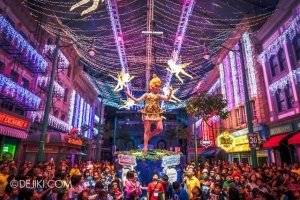 Marvel at the performances and don’t hesitate to snag some shots with the never seen before night lights at USS. Let us know if we’ve missed out any insta-worthy places in the comments below! *TNC Applies. 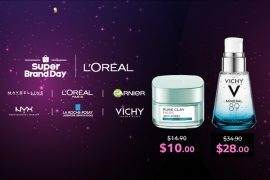 Valid for new users from 17 to 24 Dec only.